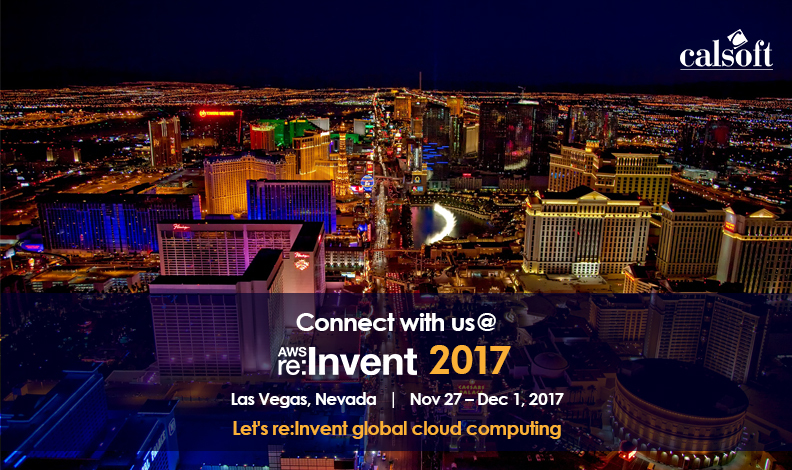 AWS re:Invent 2017 is to kick off in a few days in Las Vegas from Monday, November 27th to Friday , December 1st 2017. AWS re:Invent is a learning conference for the global cloud computing community and attracts Amazon’s top customers, software distribution partners (ISVs) and AWS MSPs. It has four-and-a-half days of content across six venues in Las Vegas, with an estimated attendance of 40,000 people. At the conference, you’ll have access to more than 1,000 technical sessions, a partner expo, after-hours events, and more. The conference will explore the Internet of Things, serverless computing, databases, enterprise security, DevOps, machine learning, deep learning, containers and more. In addition to those sessions, there are full- and half-day bootcamps, self-paced labs plus an assortment of extra-curriculars like pub crawls, fitness events, parties, and more. The Ventian – general sessions, keynote sessions, main expo and hands on labs and the tracks that are largely covered are AWS Marketplace, Networking, Storage, Machine Leaning, DevOps and more. Whether you’re a conference veteran or a newbie, you can plan your successful re:Invent experience. Study the event calendar a lot, and focus on specific sessions, but otherwise you can spend your time on networking, expo hall, and some fun at laid-back events. Cloud today has moved beyond simple migration – it’s a full-fledged journey incorporating an array of technologies and innovations. Calsoft is a leading product engineering services partner in storage, networking, cloud, virtualization domains; and new age areas like Big data, IoT, analytics and machine learning. Our cloud service offerings (IaaS and PaaS layers) are built with the full suite of AWS technologies incorporating serverless computing, cloud management, data analytics, deep machine learning and connect devices with applied insights. We have delivered successful projects across cloud services including capacity planning, cloud orchestration, cloud automation, cloud readiness assessment, cloud integrated storage, virtualization migration, cloud migration services, cloud backup and disaster recovery. Our product engineering services span across plugin development, API testing, performance assessment, and development of modules compatible with cloud based applications. What interests you most about re:Invent 2017? We can discuss your cloud journey, support innovation, and accelerate your digital transformation.